In a major step, the Supreme Court to today asked the Centre to file a roadmap and detailed plan of action to deal with “the serious” issue of farmer suicides within four weeks. Terming it a “sensitive issue of public interest and human rights”, the Supreme Court had last week for the first time favoured a comprehensive national policy to protect farmers, large number of them who commit suicide due to rising debt and crop failures caused by natural calamities. “The issue involved in this case is not only sensitive, but is of public interest at large. In this view of the matter, we are of the view, that the Union of India, besides the Reserve Bank of India, and all the State Governments and Union Territories, need to be added as party respondents, so as to enable them to assist this Court, to arrive at an effective determination in the matter. The Registry is directed to amend the cause title, and implead the Union of India, Reserve Bank of India, all the State Governments and Union Territories as party respondents in the matter," a bench comprising Chief Justice J S Khehar and Justice N V Ramana had said while hearing a PIL filed by NGO 'Citizens Resource and Action and Initiative' on issues relating to farmers in Gujarat. Thus the bench on its own expanded the scope of the petition which has raised the issue of farmers' suicides in Gujarat, to entire country. During the brief hearing, the court said that many farmers were committing suicide because of crop failure and indebtedness and yet there was no national policy to protect them. 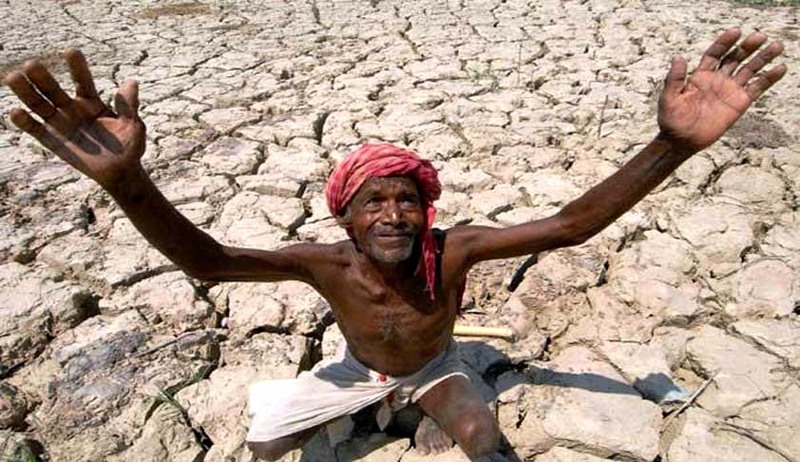 The NGO had sought an overhaul of the agriculture policy and provisions for adequate compensation to farmers during drought and other natural calamities. The plea had initially asked for directives to Gujarat government to pay a compensation of Rs 5 lakh each to families of 692 farmers who reportedly committed suicide in the state between January 2003 and October 2012. On Friday, representing the NGO, senior lawyer Colin Gonsalves submitted before the top court that he now wanted the scope of the petition be broadened and that he has adduced statistics relating to farmers’ suicides from across the country. “Reports after reports have been submitted to all governments but the situation remains the same. Please allow me to implead the Centre and states as parties to my petition,” Gonsalves pleaded. The affidavit of Ministry of Agriculture had submitted that out of a total of over one lakh suicides in the country in 2013, farmer suicides were recorded at 8.7 per cent. Referring to the data maintained by National Crime Records Bureau (NCRB) as per which the number of suicides by persons self-employed in farming/agriculture in 2009 was 17,368 which had come down to 11,772 in 2013. It had submitted that as against the total population of 122 crore (estimated) during 2013, the total number of suicides in the country was 1,34,799, of which suicides under the category of self-employed (farming/agriculture) was 11,772 which is 8.73 per cent of the total suicides.